Concluding this season's gift guides will be that for the male in your life. Boyfriend, dad, brother- these gifts are pretty interchangeable once you take into account personal style and taste. Well, if you are like me and still have yet to finish Christmas shopping. And no I do not need to be reminded that Christmas is exactly one week today! Oh well. Wish me luck as I brace myself for the malls! 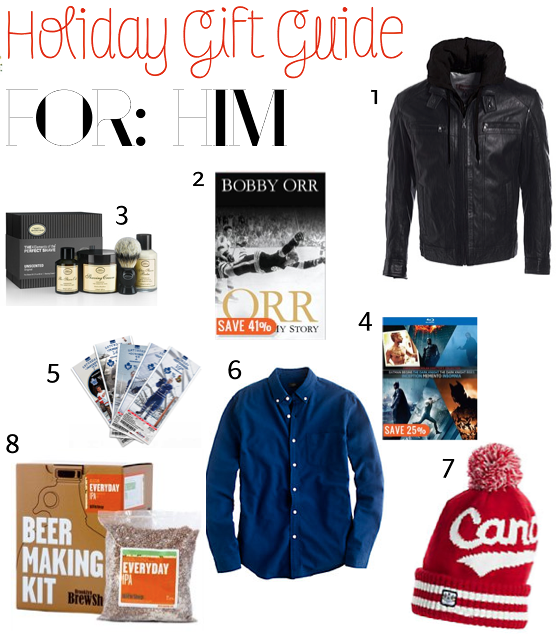 If you are really far behind in your shopping check out my other gift guides: for the hostess, and your best gal. Will you buy me this?